There are some books which you carry with you throughout your life. There are books which touch you like nothing else does. TFIOS is undoubtedly one of them. 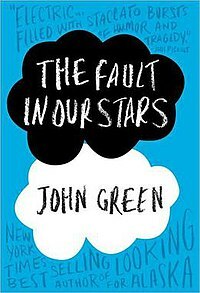 Having been a Nerdfighter and having admired and loved John Green for a long time, this book was a treat for me. Not just because it has been written by someone I admire and respect, but because of the raw, honest way Green writes. It makes you question yourself, it makes you think, it makes you cry and laugh and wonder. And there are very, very few people who can do that.